Favored by the German Landsknecht mercenaries, greatswords were effective and deadly against when used against pike and spear formations. 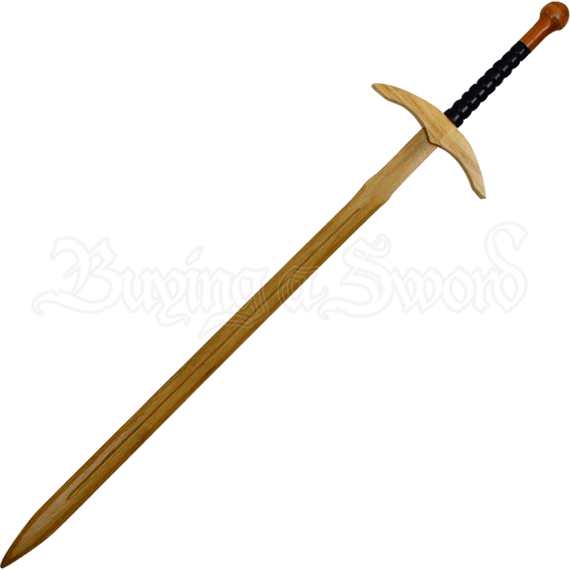 This Wooden Great Sword makes an impressive addition to any sparring kit or costume ensemble. The straight wooden blade displays a fuller that extends from beyond the ricasso until just before the tapered and blunted tip. The crescent shape guard features a decorative accent that points to the ricasso. The ridged two handed grip is capped with a scent stopper pommel. Perfect for cosplay outfits, combat training, and theatrical productions, the Wooden Great Sword is great for older children, teens, and adults.